Nick Olivetti’s credentials span from a diploma from London’s prestigious SAE, remixes for the world famous band Radiohead, and signings on Claude VonStroke very own Dirtybird records. Italian Nick Olivetti has been bubbling under for some years: an IDJ Magazine “one to watch”, Nick is an experienced audio engineer who has used his skills to make a name for himself in both the house and tech house scenes. Early on it was labels like Trapez, Great Stuff and Kling Klong where Nick’s music found a home, whereas now it is predominantly the San Fran stable that is DirtyBird, home to artists like Eats Everything, Shadow Child, Justin Martin, Waifs & Strays, and of the head honcho himself, Claude Von Stroke. 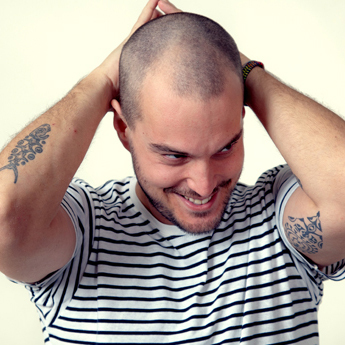 Nick’s studio skills have seen him collaborating and remixing for artists such as Martin Eyerer , Pleasurekraft, Hermanez, Pig & Dan, and Rainer Weichhold. Other projects include a remix of Radiohead as well as a classy rework of Lana Del Ray for Universal Records, both of which showcased Olivetti’s studio know how and musical diversity in fine style. As a DJ, too, Nick has fine credentials having spent a whole year playing each month at the infamous Ministry of Sound in London, as well as many other clubs around Europe before and since. Looking ahead and there is much in store for Nick, including a new EP, Olympia, on Trapez, a new release for Kling Klong and a next outing on DirtyBird in early 2013.